As reported in the media Volvo are moving production to hybrids vehicles by 2019. We have embraced this move and have already begun our hybrid training in order to move with the industry. Updates on our training progress will follow. CP Motors was born in 1985 when we purchased our first Volvo. We have now established ourselves - both locally, here in the midlands and nationally as one of the leading independent Volvo specialists, having processed over 2500 Volvo's in that time. 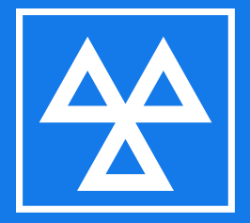 We pride ourselves on offering friendly helpful and individual service to all our customers, whether they call in to visit us for used or new spare parts, bring their car in for a service, repair or diagnostic work, use our mail order service or even buy a salvaged and repaired car from us. Our philosophy at CP Motors is that we run our business as a team effort; staff are encouraged to help one another to provide the best possible service to our customers - and their Volvo's. We pride ourselves on being a "green" organisation, recycling as much as possible and holding a Waste License Exemption from the Local Authority - which gives us the status and secure future of an authorised recycler. And now as we move through the year 2000 and beyond CP Motors have developed further. We now have advanced in the field of auto-diagnostic technology with the purchase of the same electronic diagnostic equipment that Volvo use themselves. With this new system our fully trained and qualified time-served technicians can find electrical faults on your Volvo quickly and accurately - Saving You Money ! From junction 10 of the M42 get onto the A5 heading towards Nuneaton / Hinckley. At the first island turn left into Dordon. Follow this road into Polesworth until you pass a fire station by a cross-roads. Turn left and go over the hump back bridge. Take your first right into Pooley Lane and we are at the bottom.